Google's Chrome browser is marketed as a streamlined browser that removes all unnecessary bloat in order to maximise its speed on the web. But its lack of bells and whistles shouldn't be misinterpreted as a lack of functionality. There are still plenty of ways that you can tweak Chrome to suit your own surfing habits..
As with other browsers, you can use keyboard shortcuts to save time. Use [Ctrl]+[B] to toggle the Bookmarks bar, [Shift]+[Esc] to open Chrome's Task Manager and [Ctrl]+[J] to bring up the Downloads window. Move the cursor without moving your mouse by using [Ctrl]+[L] to switch to the address bar and [Ctrl]+[K] to move the cursor to the search box. There are also plenty of tab-related shortcuts: [Ctrl]+[T] opens a new tab, [Ctrl]+[N] opens a new window, [Ctrl]+[Shift]+[T] reopens the last-closed tab, [Ctrl]+[Tab] cycles through open tabs and [Ctrl]+[W] closes the current tab. Perfect for speeding up your surfing. 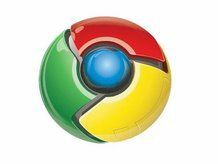 Google is, of course, best known for its search engine, and Chrome aims to make search as easy as possible. You can search the web by simply typing a term into the address box, or you can search a particular site by entering the domain and then pressing [Tab]. You can use keyword shortcuts to search using a particular search engine; right-click in the address bar and select 'Edit Search Engines' to add or remove search engines and assign keywords to them. Like Opera, Chrome has a nifty feature that displays a grid of your most frequently visited sites when you open a new tab. This grid is not fixed, and you can make it how you'd like by dragging and dropping the thumbnails to rearrange them, pinning thumbnails to specific locations by using the Pin button or changing the grid to a simpler list view with the View button. Got a set of sites you visit every day? Well, why not customise Chrome to open your favourite sites in their own tabs when you start the browser? Go to the Options menu and under the Basics tab, tick the radio button for 'Open the Following pages' and then add whichever sites you want to open on startup. You can also make the browser open up the pages you were viewing before you finished your last browsing session instead. All browsers save files where they think is best, which may not be where you want them saved. To change the default download location, go into Options, click on the Minor Tweaks tab and set a new custom download location. A rather handy alternative to this is the ability to drag and drop downloads out of the status bar straight onto your desktop or an Explorer window. Chrome's interface is pretty minimal, so if you're one for customisation then you'll be pleased to hear that you can easily change the look and feel of the browser using themes. Click on the Spanner tool, choose 'Personal options' and then click 'Get themes'. Once you've found a theme you like, click the 'Apply theme' button to instantly transform your browser. Everyone knows about the potential tracking problems of cookies and adverts, but did you know that each Chrome install has a unique ID, making it a very simple matter to track what you are doing? If this is something that worries you then fear not, because there is a solution: Chrome Privacy Guard. Once installed, the tool scans inside your Chrome install and removes the unique client ID; just run the 'ChromePrivacy Guard.exe' file instead of the normal Chrome executable. You can use Chrome to create desktop shortcuts to your favourite web applications such as Google Mail, Flickr, Twitter and so on. Once launched, the app will appear in its own separate window without any of Chrome's usual toolbars, tabs and bookmarks, but any links you click on will open a new tab instance in Chrome. To create a shortcut, go to the site you want to make the shortcut to, go to the Page menu and choose 'Create application shortcuts'. You will have the option of saving the shortcut to the desktop, Quick Launch bar or Start menu. Like Firefox, Chrome supports plug-ins, although this is still in an early stage. Type about:plugins in the address bar to see what plug-ins, if any, are currently installed. You can get Google Chrome extensions from the official repository. If you want to build your own extension, have a look at www.chromeextensionsdocs.appspot.com.